Our Old Watermill brick slips have really stepped up to the mark. 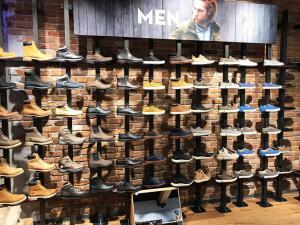 At nearly 100 years old, Timberland is a name synonymous to the world of footwear especially right here in the UK. With an annual turnover of £1.5 billion USD, timberland both manufacture and retail their products to a global market. 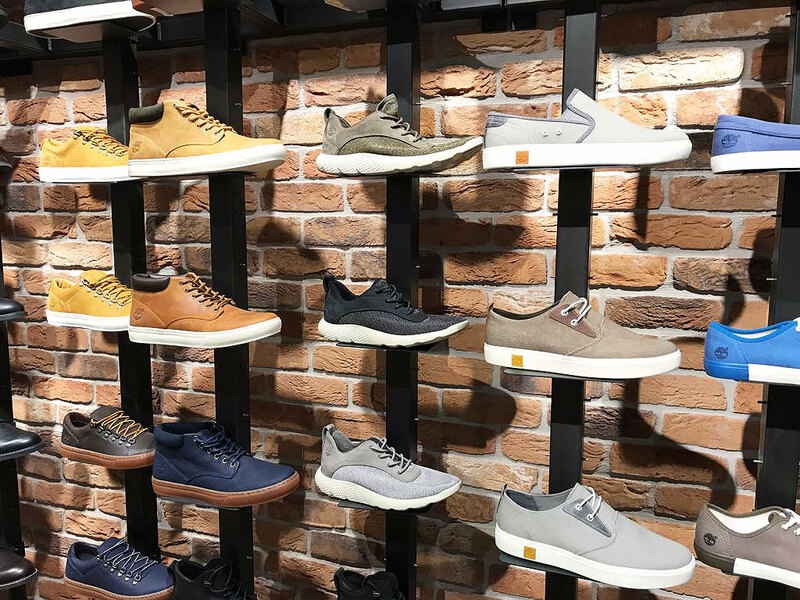 In recent years the overall growth in the footwear market and the strength of the business has seen a rapid expansion of Timberlands retail store sector. 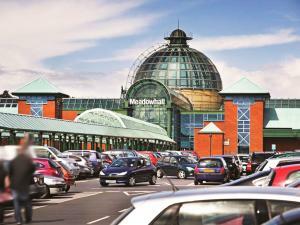 Meadowhall, Sheffield being one of the most recent stores to be opened. Our clients were tasked with creating a store that was highly urbanized in appearence and both trendy and inviting to a cross section of the demographic. We were delighted to see that from the planning stage our Olde Watermill brick slips were profiled as a key design feature within the new store. 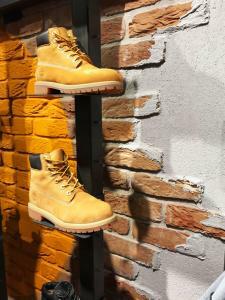 The designers had specified rich brickwork that would include a whole host of techniques and methods to showcase the product in Timberlands unique Urban way. 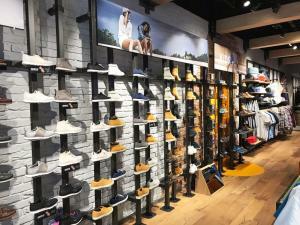 Timber flooring was to be incorporated within the floor space adding a subconscious note to the brands name and origin. Simple, spacious and urban are the key elements that went into this brief. 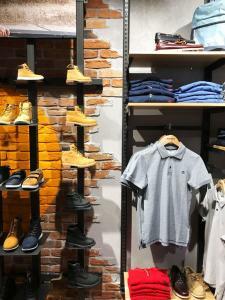 Everyone knows that first impressions in the retail world are critical to any shop layout. 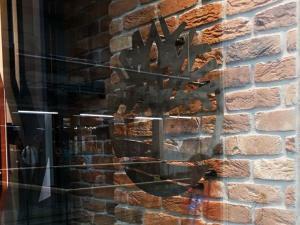 The exterior design which features a glass curtain wall offers a transparent mount for the signage and logo. 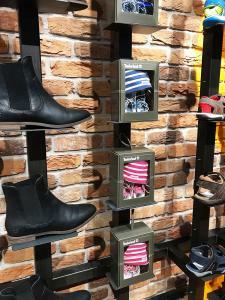 Appearing to target their customers with a full snapshot of what is inside. Timberland is a store that specializes in a certain type of footwear and the design elements that have been structured around these products convey the spirit of the store’s inventory. Simple black engineered pillars are mounted with an array of fixed brackets allowing the product to seemingly float in front of the consumer’s eyes. Backing behind the pillars are our fantastically rustic and urban-esk Olde Watermill brick slips. 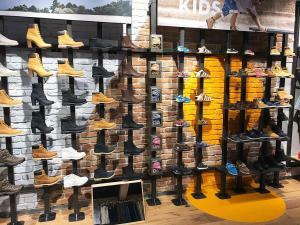 The designers took great care in exhibiting a whole range of installation and post installation methods, making the brick slips seem uniquely theirs. 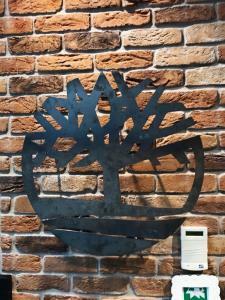 With one wall feature wall the brick cladding has been left almost untouched. The start of the wall shows where the designers have offered us a sectional view of the installation process. Showing how these slips just step out from the wall in a seemingly random nature. The over splash on the plaster render was no accident though, adding a certain old school look that would not seem out of place in say a Californian skate park. The look has been executed to great success against these rugged tan boots. 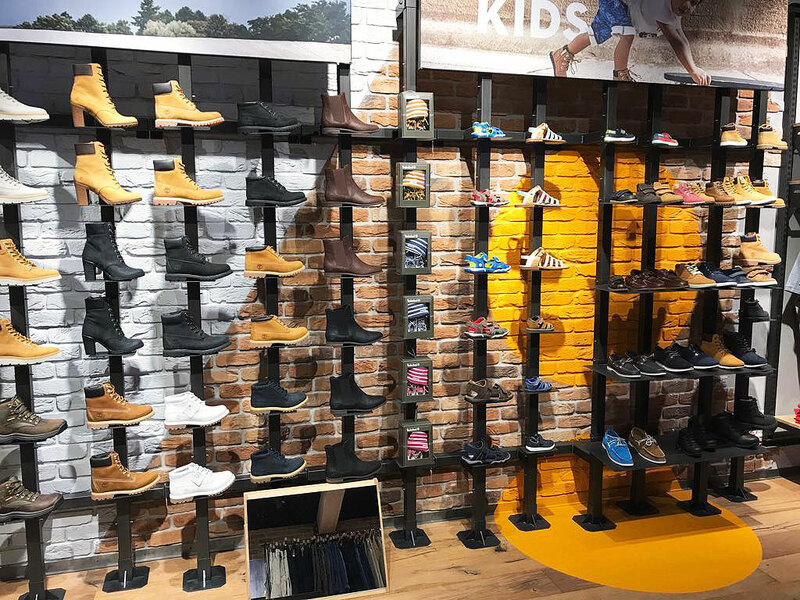 On the adjacent product wall we can see that the designer has really enjoyed injecting colour into the brick slips, as if it was done by an urban graffitist they have really excelled in the use of vibrant and bold colours. The interjection of white and yellow also works alongside the floor and really does grab the consumer’s attention. 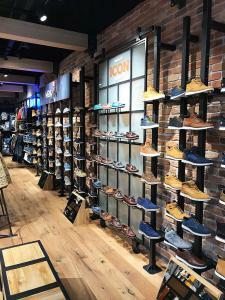 This is a store that has been designed by someone who really does take the product and the clientele to the very core of their theme. 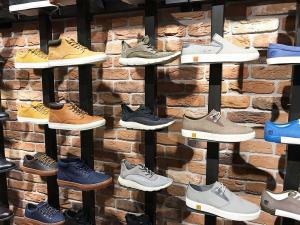 All in all consumers unfamiliar with the retailer get an immediate impression of what the store has to offer. 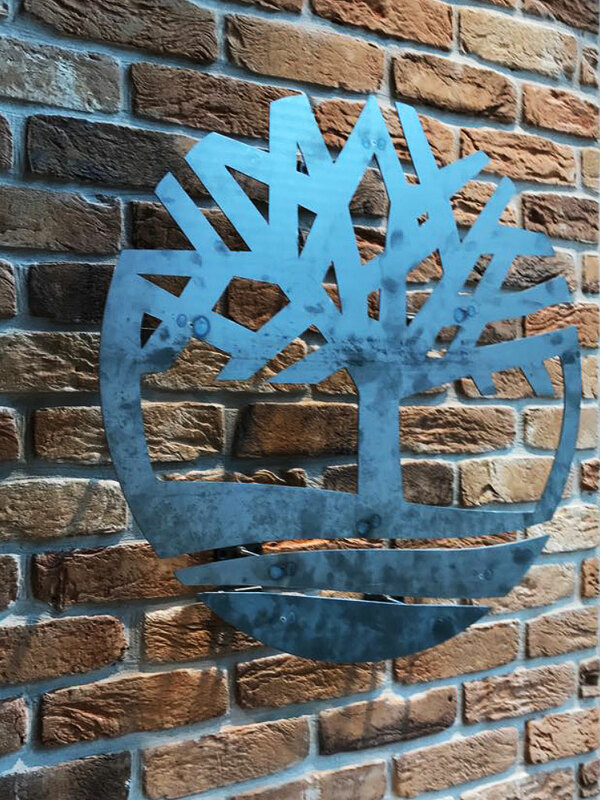 Our grand offering to this fantastic project was to supply the brick cladding which was used throughout.The Olde Watermill was chosen by our client due to its rich and varied texture owing to the desired urban look specified. A splendidly versatile red brick the Olde Watermill is a stalwart in brick cladding. 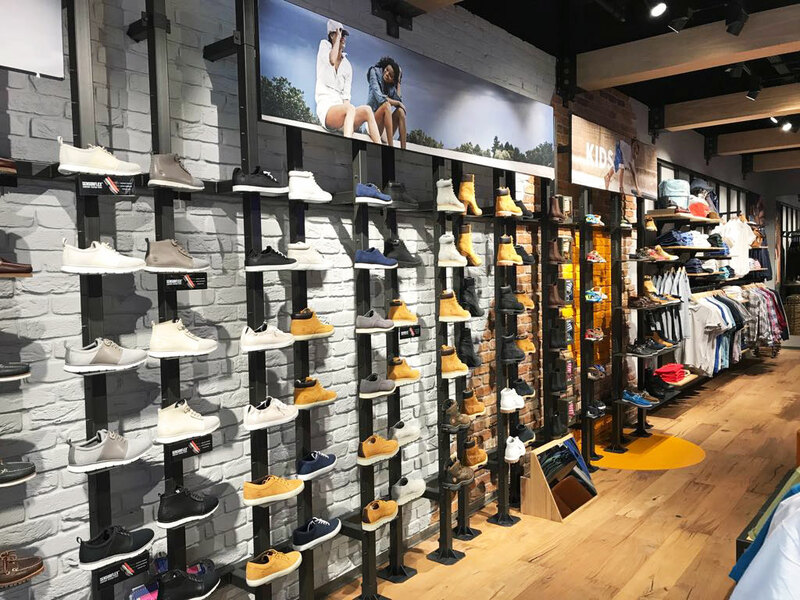 Rumbled in appearance and containing subtle light and dark tones the Olde watermill looks stunning in the timberland installation. 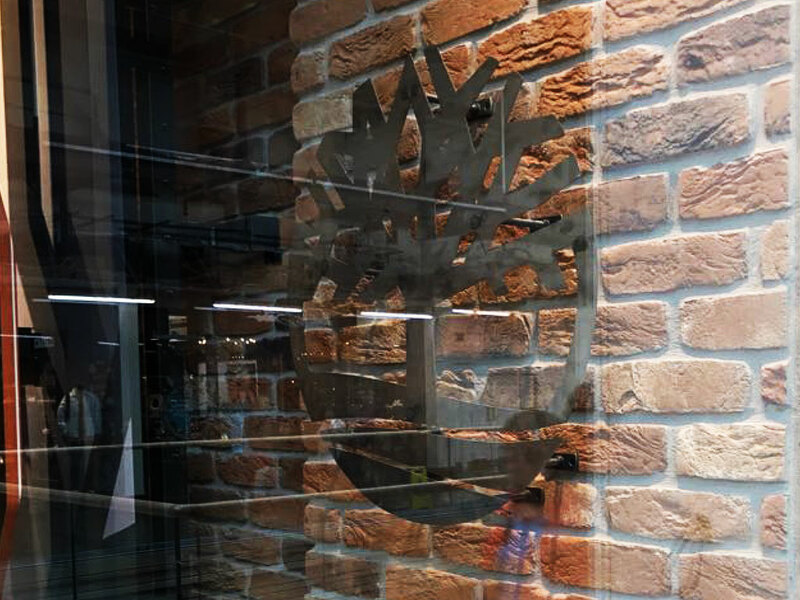 The Olde Watermill has always been a great brick slip for using around timber as its colours and texture bring out the tones and grains wherever timbers are placed within the surrounding design. 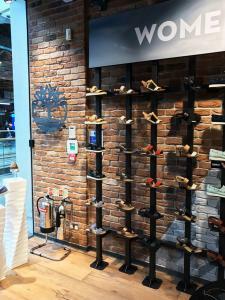 Wall tile adhesive has been used throughout, the wall tile adhesive that our client used on this particular installation was a rapid setting adhesive. This type of wall tile adhesive is often required for large installations and is often specified from the design board. 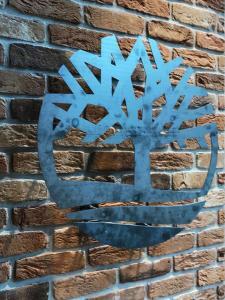 All areas of this design have been brick pointed using our gun injected mortar. Installers use gun injected mortar as opposed to traditional methods to save on time and it also helps to keep the brickwork clean from any cement splashing that can happen during installation. Masonry paint has been used throughout the timberland store, branded colors and urban design motifs have been painted on the brick work with ease. 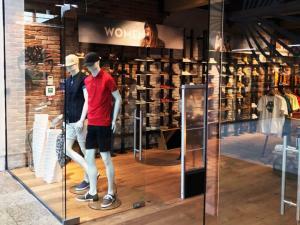 Designing a retail interior in the 21st century requires a great effort. 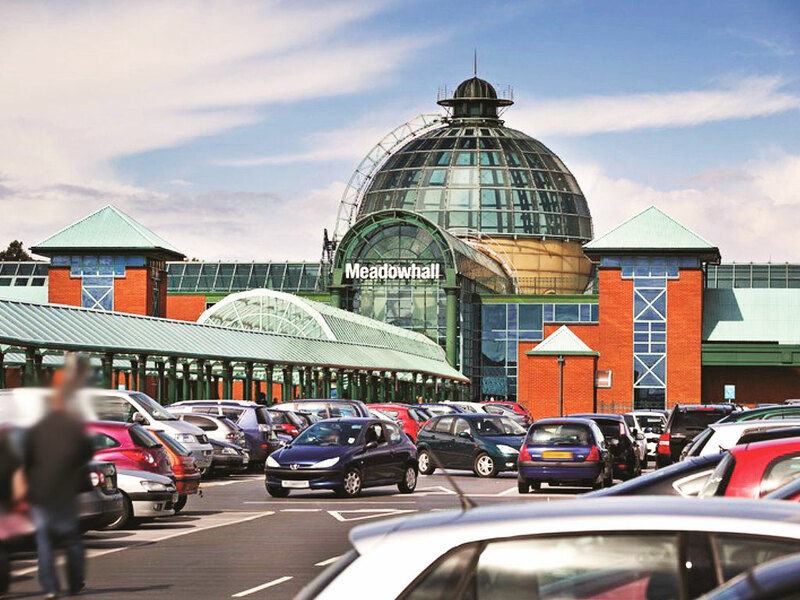 In order for Timberland to be more successful and thrive in today’s digital era they have really pulled out all the stops for their new Meadowhall store. 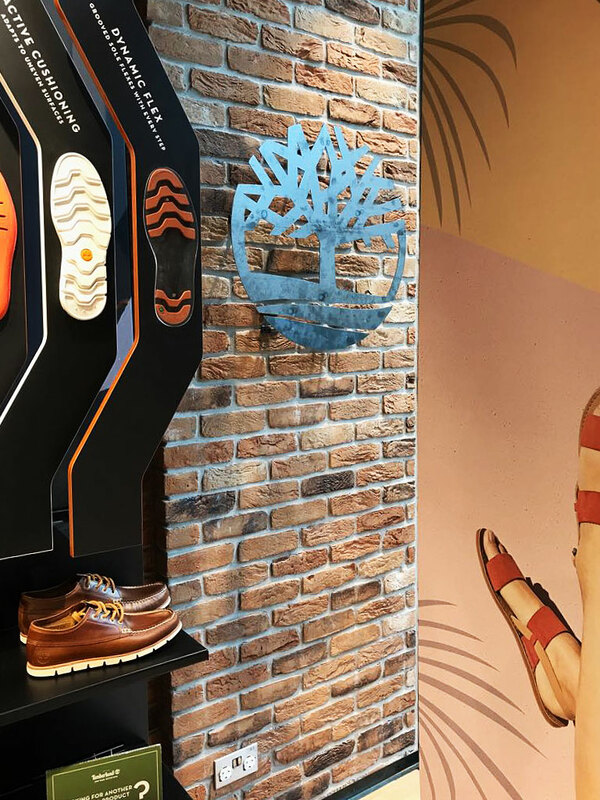 The installation tells their brand’s story and has created an immersive experience, the designers have put together head-turning product displays and utilised our brick slip products to great enactment. 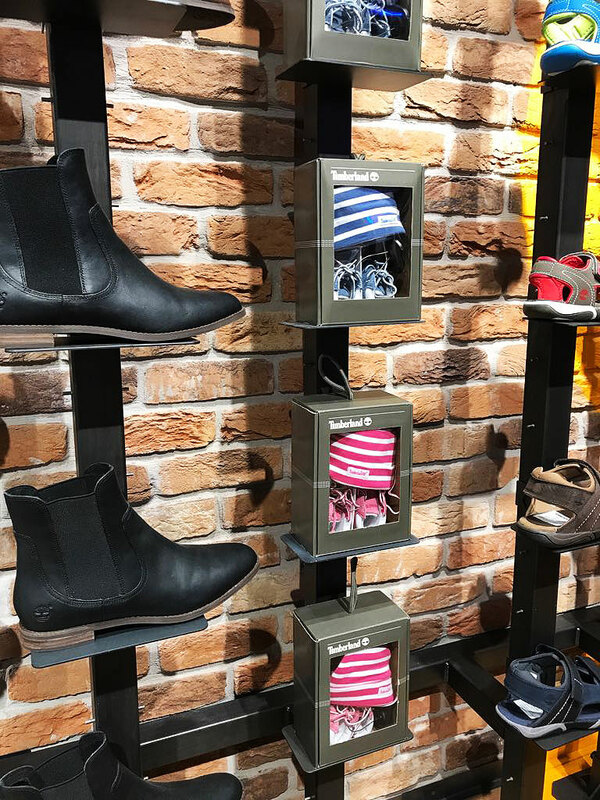 When it comes to retail, the devil really is in the details, and the designers of Timberland Meadowhall have really stepped that extra mile.